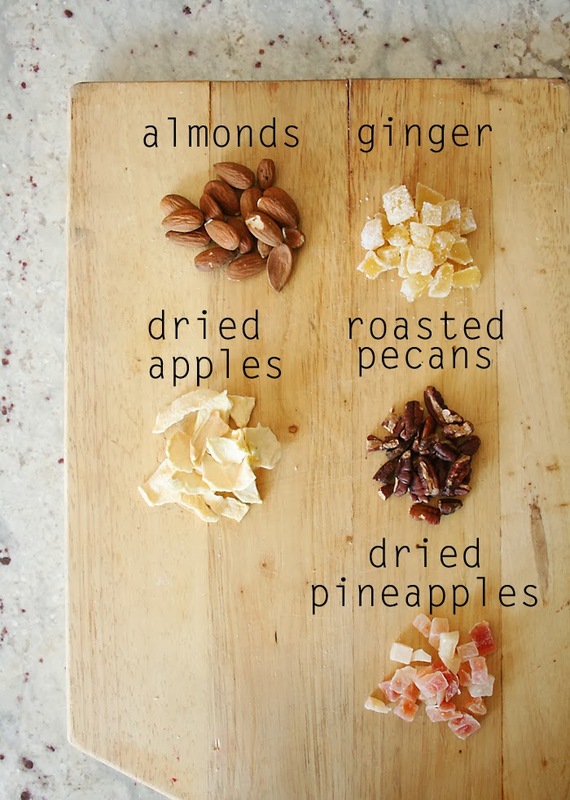 We are a trail mix kind of family. My kids and hubby love it, and I have to control myself from not eating the entire bag. 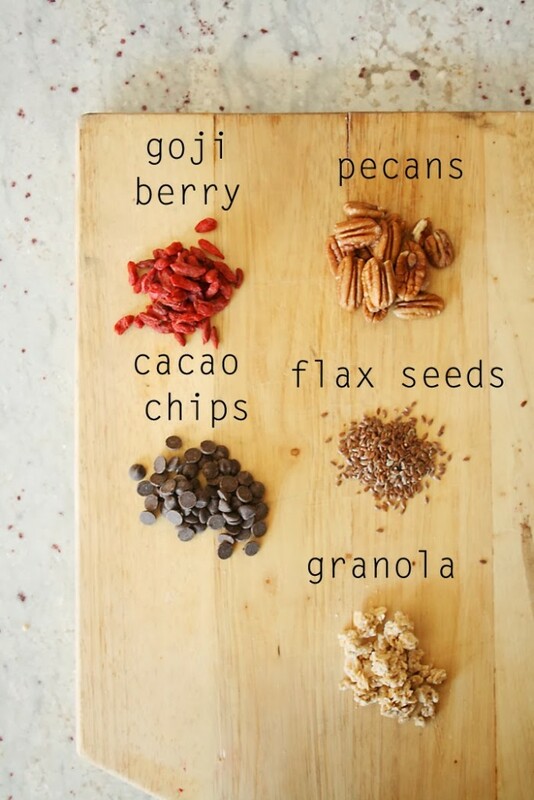 Known to be eaten while hiking, trail mix is a good afternoon snack to energize and is loaded with healthy fats and protein. But I like to make our own mix instead of buying from the grocery store because, without a doubt, most mixes have something I don’t like (raisins) or has added sugar or preservatives. So, making it…mix ‘n match…is the best. You can control what want to put in, how much how less. 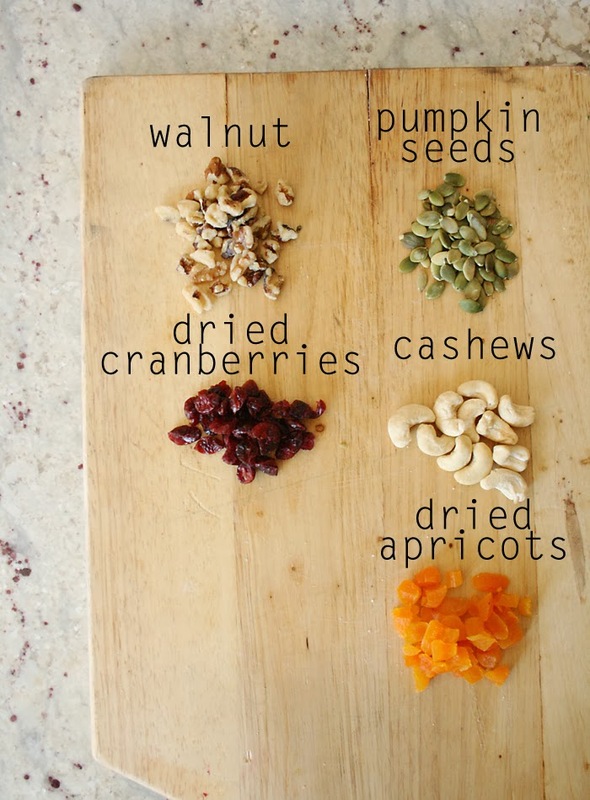 In each mix, I like to always put in nuts, seeds, dried fruit, sometimes sweet. You can also add spices to give it a punch of flavor. 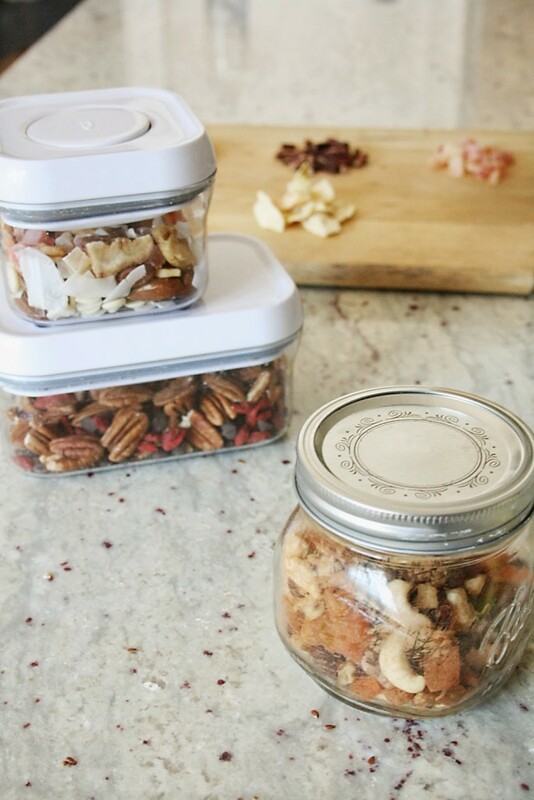 Nuts–almonds, pecans, walnuts, cashews, pine nuts. I stay away from peanuts because of the fats in them. 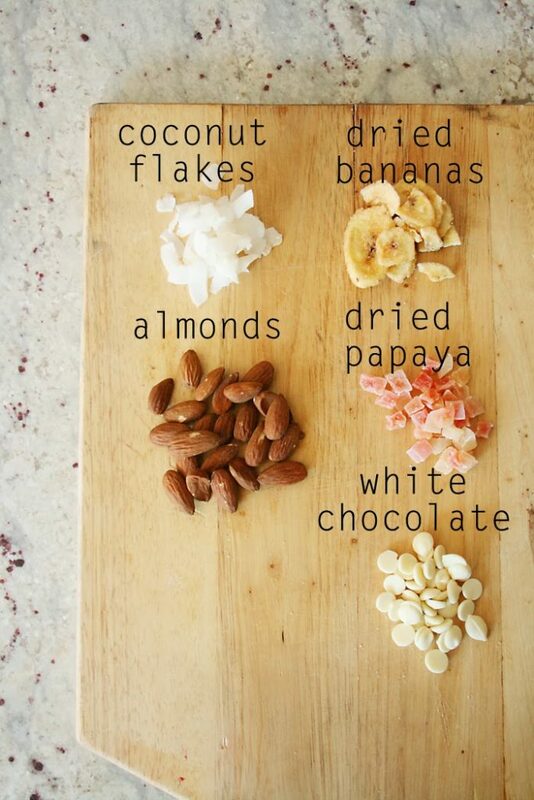 So here are some of combinations I threw together that we like and also what I had in my pantry. We mix and match these items all the time. But these items I usually have on hand. I usually put together a few batches and store them in mason jars or oxo containers. So, there are ready for a quick grab or afternoon snack.